Developed by CarX Technologies from Russia, a racing game in which, in addition to getting the best time, equally important are the points scored for making spectacular slides. As the game progresses, the currency earned on drifting will unlock new routes and car models. 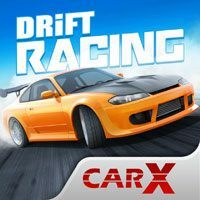 CarX Drift Racing is a racing game released on the iOS, AND and WP platforms, in which the key element of fun is the skill of title drifting. The game was developed by the Russian studio CarX Technologies and is available in a free-to-play model with micropayments. Like most typical car games, CarX Drift Racing's gameplay boils down to covering successive routes, set in three different sceneries. The main difference, however, is that in the game it is not only the place at the finish line that counts. Equally important are the points (converted into the virtual currency of the game), which we get for performing spectacular drifts on subsequent visions. They allow you to unlock new cars, which include sports machines as well as tourist, classic and even light truck models. Cars are not licensed, but they faithfully reflect their actual equivalents. In addition, each of them can be subjected to a simple visual tuning, changing the color of the body and rims. The authors of the game put particular emphasis on the realism of the car's behaviour, which translated into quite good - as for mobile conditions - driving and drifting impressions. In addition, you can modify the traction of the machines by selecting one of the four available settings, such as Stock, Turbo, Racing and Drift. There are also three different control models using a gyroscope or virtual buttons for the steering wheel, gas, brake and manual brake - extremely useful during drifting. For less experienced drivers, it is possible to switch on several facilities, such as steering and braking assistance. As for the production of a previously unknown studio, CarX Drift Racing on iOS, AND and WP is characterized by high quality graphics. The car models were made with great attention to detail, and the individual routes impress with the quantity and quality of the details. No wonder, because it is also in a sense a demonstration of the capabilities of the original CarX Engine, which was put up for sale by the creators. Importantly, it works smoothly even on weaker models of smartphones and tablets.